Simon Dogger is a designer with a whole new point of view. During his studies at the Design Academy Eindhoven, he lost his sight and was forced to take a long break. He returned as a non-visual designer, with a renewed ability to listen and feel, and a strong drive to regain his independence. 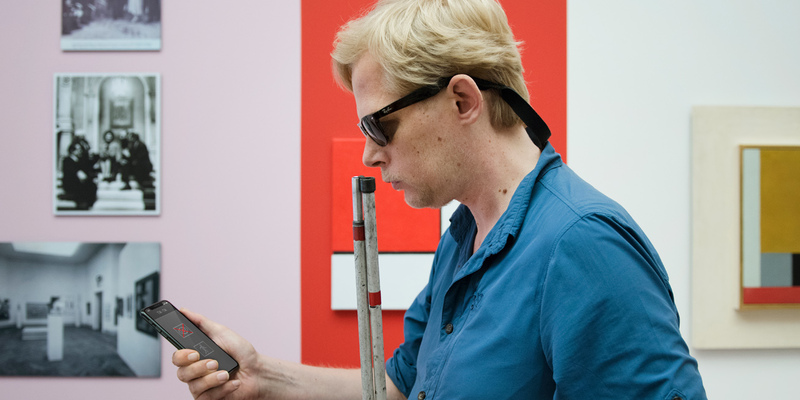 Not seeing himself as handicapped, but as someone who takes in information differently, he set out to explore more inclusive forms of communication. His concepts and designs combine visual, auditory and sensory means to improve the quality of life. 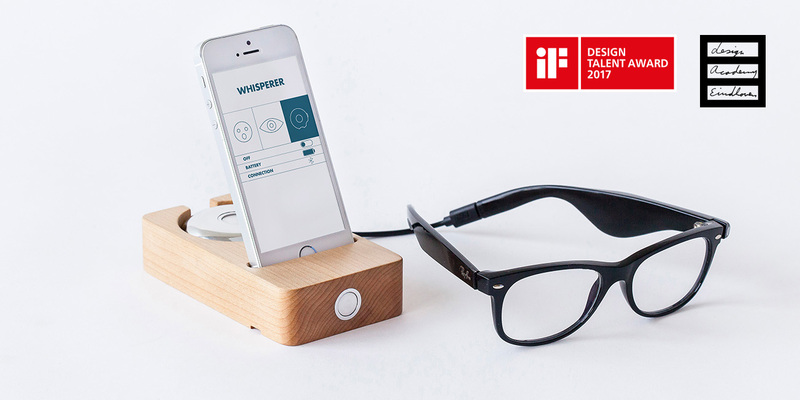 Not only for the visually impaired, but for all people who could benefit from self-empowering, intuitive tools that help them connect with others and their surroundings. Simon’s designs never start at the solution. Unimpeded by the limitations of aesthetics, he is able to analyze people’s wishes and needs without having a preconceived idea of the outcome. His human centered approach has resulted in innovative concepts and products that bridge communication gaps. Functionalities range from ‘reading’ someone else’s emotions to finding your way in a large public building – even if you cannot see. Applications like the Emotion Whisperer and Tik-Tik indoor navigation explore a new field in this era of visual information. By adding sense and sound as equal alternatives, no one gets shut out. The Emotion Whisperer The Emotion Whisperer is a subtle tool that can prompt the visually impaired with the body language they’re otherwise missing out on. Get in touch with Simon Dogger by filling in the following contact form.